This is a Vintage Pointing Hand Image! If you’ve been reading my blog for awhile, then you may know that for some strange reason, I am wild about these quirky pointing hand images. So when I found this one in a Circa 1828 Printers book, I was thrilled! I’ve never seen one quite like this before. It has a very unusual ruffled cuff on the wrist, which makes it so interesting! The scale is a little odd too, with an unusually long index finger on it. So funny! 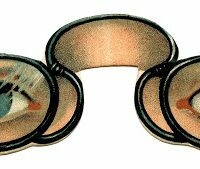 This would be great to use in your Steampunk or Halloween projects! You can find another one of my favorite Pointing Hand Graphics HERE. 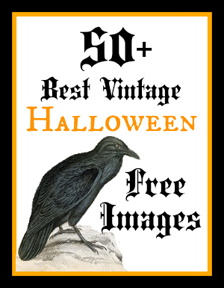 And for even more Halloween images, be sure and check out the 50 Best Free Vintage Halloween Images HERE!